Quantum Break, the latest video game by Finnish studio Remedy Entertainment, is without doubt a success, with the game taking the number one spot in the UK’s sales charts in its launch week according to gaming website GameSpot. And some pundits have even called Quantum Break the Xbox One’s “first true system seller”, and the first game worth buying Microsoft’s console for. The truth is, though, that while Quantum Break is a bold experiment, its fusion of live action and third-person gameplay might not be to everyone’s taste. But if watching live action sequences that look like a TV episode after playing through a typical video game shooting sequence tickles you fancy, Quantum Break might be your kind of game. And events in the game’s live action sequences play out according to player’s actions in the game, which is no doubt a cool touch. And while some may consider Quantum Break’s approach of combining long live action sequences will well-known TV actors like Aidan Gillen and Lance Reddick with interactive video game bits revolutionary, the truth is that this sort of FMV game has been around for more than 20 years. Back in the 90’s, the so called Full Motion Video (FMV for short) video game was in vogue, with almost every major game from Sid Meier’s Civilization II to Command & Conquer boasting live action sequences with real actors in them. And the popularity of games like Myst, which combined puzzle solving in the vein of top mobile game The Room Three with FMV sequences, cannot be denied. 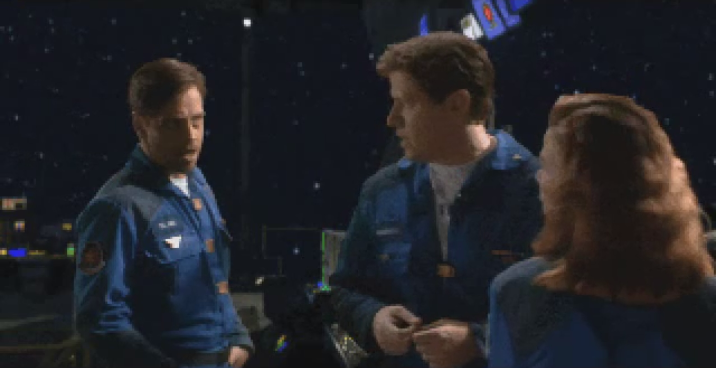 Games like 1994’s Wing Commander III featured big-name actors like Mark Hamill. But perhaps the biggest video games to feature live action FMV sequences in the 90’s were Christ Roberts’ Wing Commander games, which had multimillion dollar budgets and a big-name cast of actors including Mark Hamill of Star Wars. In Wing Commander III, which came out in 1994, players had to fly space combat missions in humanity’s fight against a hostile alien race, and then watch live action sequences that would play out in different ways depending on player’s performance in the game’s missions. 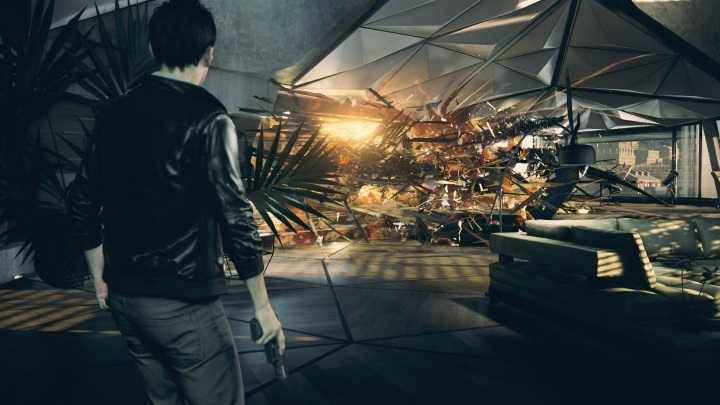 The game’s fusion of traditional video game gameplay and live action was in a way similar to Quantum Break’s, and many were expecting FMV games with multimillion dollar budgets to be the future of gaming. This was not the case however, and FMV games mostly disappeared in the 2000s, with few video games featuring live action sequences with real actors, instead resorting to highly detailed 3D models like in Bioware’s Mass Effect role-playing games. But the era of the FMV game could come back now though, given the success of Quantum Break and its fusion of 3D gameplay and live action featuring the likes of Shawn Ashmore. And FMV games like The Bunker are in the pipeline, although it remains to be seen whether this new trend will mark a return to the glory days of the 90’s, and whether FMV games are here to stay.